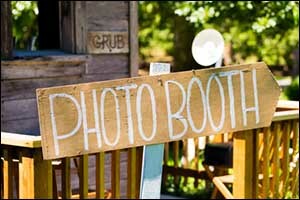 Birthday parties for people of all ages can benefit greatly from one single vendor opportunity: the photo booth. Sure, everyone has been to a photo booth at a wedding, party or community event, but the fact is that they are still very cool. Studies show that the use of photo booths in Portland for parties and other events are on the rise. They are popping up all over the place, and guests love it! When you rent a photo booth in Happy Valley or anywhere in the Greater Portland area, make sure you go over the list of options to ensure that you get everything you want for your special celebration. Parties for children, adults, and milestone birthdays are the perfect place for Portland photo booth rentals. You can get a 2-hour birthday photo booth rental from SnapZone Photo Booth for your upcoming party at a much more affordable rate than you might think. The “basic” package includes free delivery with set-up one hour prior to the start of your event, plus removal. An onsite attendant will make sure everyone knows how to use the photo booth in Portland for your party, and you get unlimited use with prints. Guests can get two prints of two-by-six-inch strips, featuring four photos on a white background. 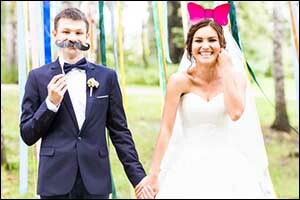 Props include glasses, mustaches, and signs – the typical photo booth fare. Guests have the option to choose from color, black-and-white, or sepia for their photos. A green screen photo booth rental can be added as a specialty background, or it is included for free with “deluxe” and “premium” packages. 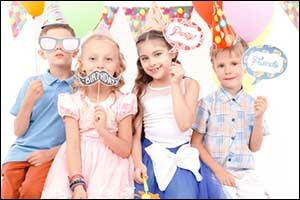 No matter what type of party you are throwing, Portland photo booth rentals are a great way to amp up the fun. 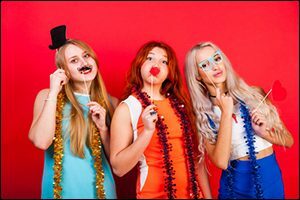 Birthday parties for kids or adults, corporate events, weddings, sweet sixteen parties, over-the-hill birthdays, and bridal showers – when you rent a photo booth in Happy Valley for your special event, you will add a lot of fun and excitement that your guests will appreciate. Make sure to ask about custom options that include information about the party, the date of the party, and a special background to help guests remember all the fun that they had at your event. One of the best parts about getting a photo booth in Portland is that there is zero work that needs to be done by you. Just hire the company, confirm the time and date, wait for them to arrive and set-up, and they take care of the rest. The onsite attendant will make sure that your guests get the most out of your birthday photo booth rental, provide them with options for props, and show them how everything works. The photos that they take can serve as a favor for the party, something that they will enjoy showing off to family and friends. Did you know that there are options available that will allow you to set up a special hashtag for social media that will collect photos posted by family and friends during your event? Our hashtag photo booth option helps you to create a social media-based gallery that you can use to easily browse photos and see what everyone was up to while you were playing host. Other options, such as digital gallery options, video guest messaging, customized welcome screen, and an event slideshow that allows everyone to take a “peek” at what’s going on behind the photo booth curtain. There are so many ways to customize your Portland photo booth rentals. Choose a specialty background or create your own with the green screen photo booth rental options. Select a special print option to include graphics or text that describes the event. Integrate custom photo booth props for your guests to use during the event that goes with the theme of your party. Speak with one of our technicians to find out even more ways that you can personalize and customize your photo booth in Portland and the surrounding area. If you are interested in learning more about how to rent a photo booth in Happy Valley or anywhere in the surrounding Greater Portland area, just give us a call at 503-207-2020. 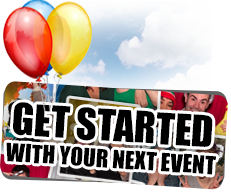 Our team can help you find the best custom package or solution for your birthday photo booth rental. Hosting a larger event? We can even hook you up with multiple photo booths to ensure that everyone gets a chance to take a photo before the event is over. Call today for a FREE estimate or to check on availability for any of our Greater Portland photo booth rentals.